Or sign straight into babblevibes or babblevoice Desktop. babblevoice is an easy to use, flexible and feature-rich, business phone system offered free of charge. Pay only for your external phone calls and number rental. Create a free account now by logging in above or request a free demo. It’s true, babblevoice is free to buy and free to own. There is no monthly fee for the privilege of having a phone on your desk! You only pay for what you actually use. You’ll need some compatible phones, if you don’t have any, and then the only cost is £3 per month for your phone number and 1p per minute peak rate to make calls nationwide. This means that the total cost of buying and then owning babblevoice is as low as it gets! The worlds of computing and telephony are merging giving you real business benefits. ‘Click-to-dial’ allows you to call someone at the click of a mouse which is faster and more convenient than dialling and eliminates mistakes. ‘Screen popping’ tells you who’s calling before you lift the handset and can be used to fetch caller records in advance saving considerable time. Connect your phone system to your business systems using the babblevoice suite of APIs to better serve your customers, staff and business. Automate common requests like repeat orders or confirming delivery dates. Automatically push calls to your telemarketing team to improve efficiency. Allow callers to book appointments or make changes without talking to a member of staff. With access to historical data, real-time data and our desktop software you can really let your imagination run wild. If you do business on the phone (and who doesn’t these days) then you really need to know what’s going on with your phone system. Who makes the most calls each day, week or month and what’s that costing you? How many rings, on average, before calls are answered? When’s the busiest time of day meaning you need more staff? Who makes the most calls each day, week or month? This, and pretty much anything else you would ever want to know, are available in real-time using babblevibes. Do you remember the days when you had to pay an engineer £100 to add an extension to your phone system or follow a convoluted set of instructions to forward your calls for the day? Thanks to babblevoice those days are gone. Setup babblevoice to do exactly what you want using a simple web page and plain, natural English. It’s been a crying shame that some of the most beneficial features of your phone system go unused because they’re just too complicated. Babblevoice comes with desktop software that let’s you dial by name, shows you who’s on the phone, lets you transfer calls and much, much more. Think of it as a fully featured switchboard on each user’s desktop. It sits discreetly in the system tray or in your browser and only pops up when needed. It's true, babblevoice is free to buy and free to own. There is no monthly fee for the privilege of having a phone on your desk! You only pay for what you actually use. You'll need some compatible phones, if you don't have any, and then the only cost is £3 per month for your phone number and 1p per minute peak rate to make calls nationwide. This means that the total cost of buying and then owning babblevoice is as low as it gets! If there is one word that encapsulates the babblevoice experience then that word is flexible. There is no minimum contract term to use babblevoice. No minimum spend. You can use it today and stop tomorrow. You can use babblevoice from anywhere and at any time. Your users can be disbursed to the four corners of the globe yet still operate as if they were sitting in the same office. babblevoice converts a one or two phone line practice into a 10-15 line practice with lower running costs. 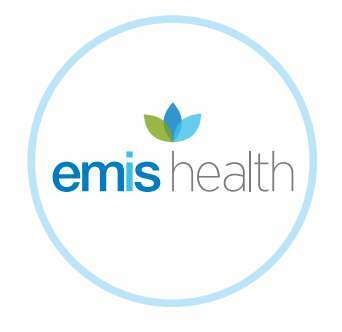 The babblevoice for EMIS plugin supports receptionists, gives doctors instant access to patient records during calls and automates appointment booking for busy patients. 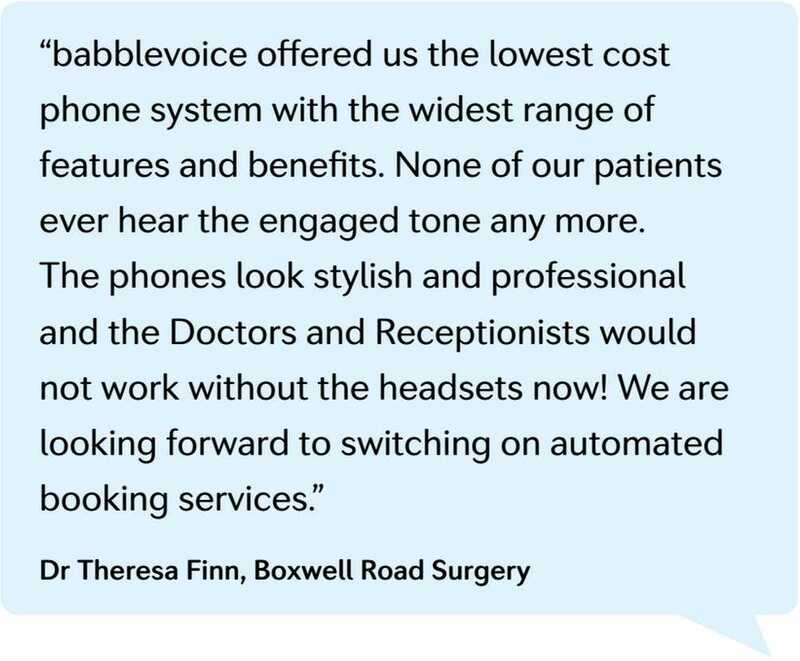 It’s not only patients who benefit from babblevoice. Doctors, nurses, receptionists, secretaries and practice managers all benefit too. 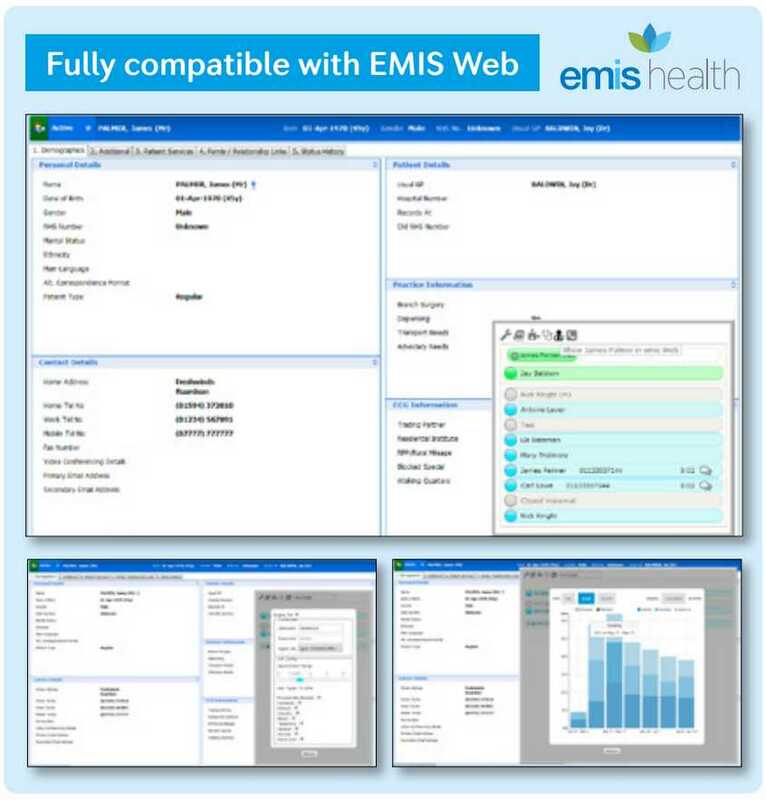 Using babblevoice for emis web allows you to “click to dial” which means making a phone call from within emis web. Click on a patient’s details and your phone will ring and you will be automatically connected. It’s fast, error free and very very easy. When a patient calls into the practice, babblevoice will search from their records within emis web and automatically present their details to you. Reporting is built in, providing much more in depth insight into how your patients call your practice, help manage your staff to ensure patients expectations are met. Have you ever noticed that your entire list waits until Monday morning to give you a call? And when they do they’re not too happy about hearing the engaged tone for the first hour of trying and then being put in a queue after that? Improving patient access is a priority and for good reason. Believing that your doctor is only a phone call away gives patients confidence and can make them feel better. Babblevoice allows patients to book, amend and cancel appointments as well as report present for an appointment right from their phone. And, because babblevoice can handle a virtually unlimited number of concurrent calls, patients never need hear the engaged tone again! If you don’t use emis web or simply don’t want to link your phone system to your patient management system there are still plenty of reasons why babblevoice is a good choice for your practice. There is no minimum contract term - stay because you love it not because you have to, you only need to buy the phones that you need - babblevoice is free to buy and use, only pay for the external calls you make, use babblevoice anywhere - you can use babblevoice in the surgery, branch surgeries or your home office, it’s flexible - start with one phone, add ten more, add another surgery.